Materials: White plastic (acrylic). white painted metal (iron). Some plastic and metal parts. Electricity: 2 circular fluorescent lamps. 1 x 32 watt, 1 x 40 watt, 220 volt. Designer: The internal design team of iGuzzini. 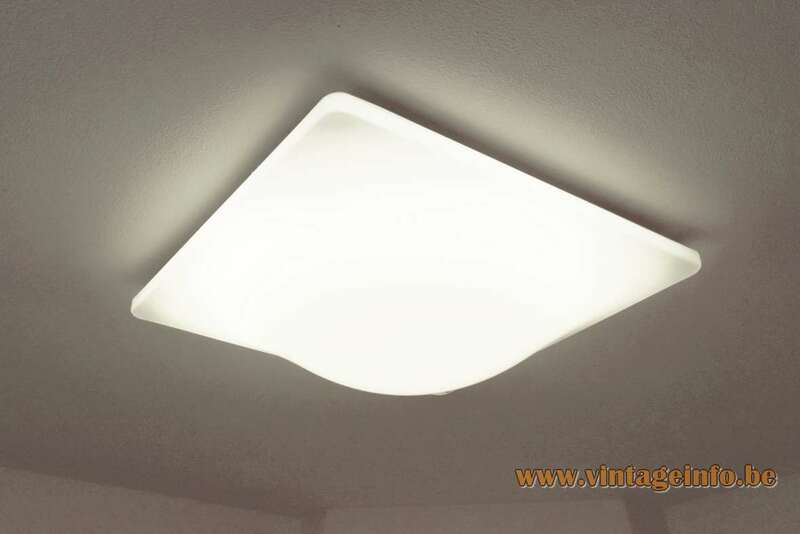 Other versions: Made with incandescent light bulbs E27, 60 watt and 100 watt. 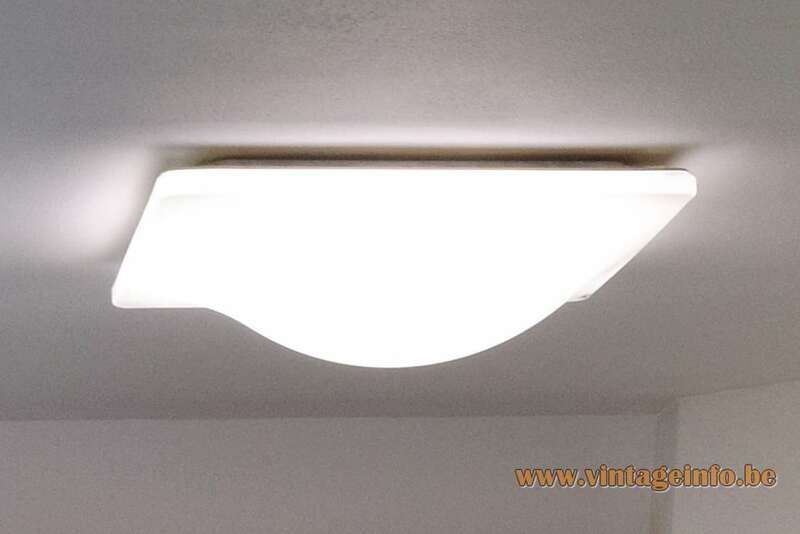 Also produced with 1 circular fluorescent lamp. The smaller versions are 37 x 37 cm and 24,4 x 24, 4 cm. 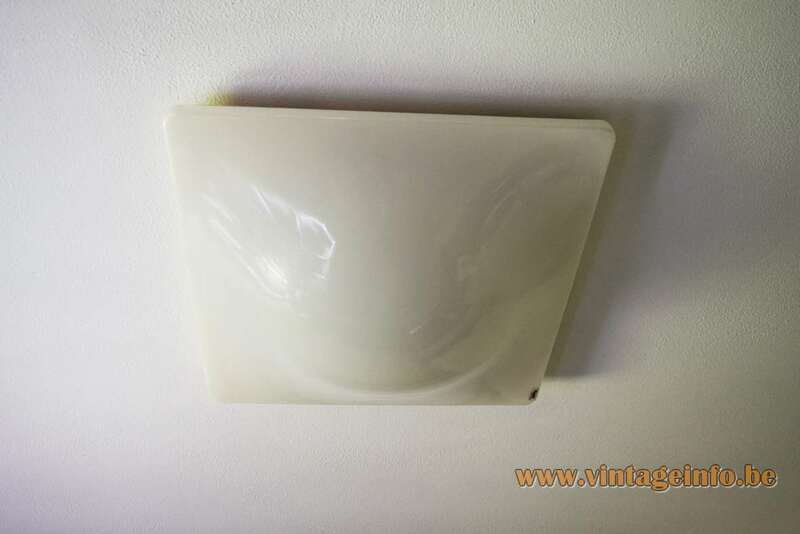 Sometimes used as a wall lamp. Produced for a long time, from 1979 until 2005. 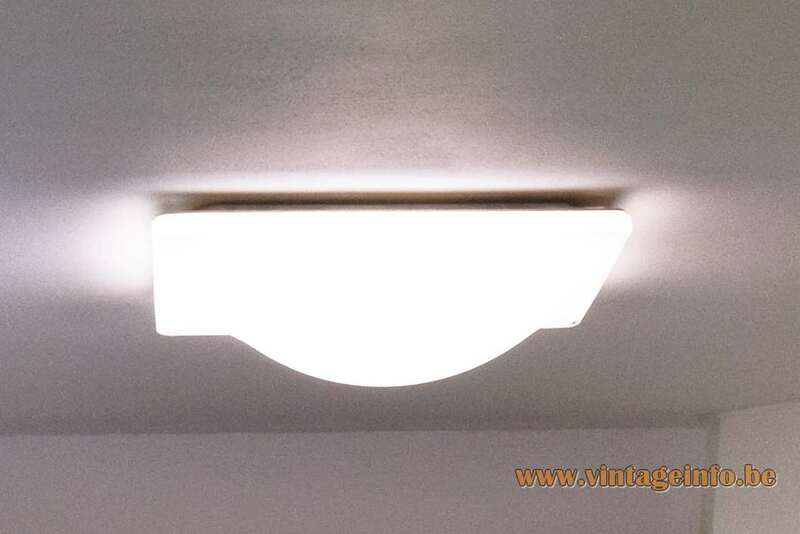 The iGuzzini Dada flush mount has many similarities with the Martinelli Luce Bolla Flush Mount, designed by Elio Martinelli. Acrylic glass (PMMA – polymethylmethacrylate) is well known by the trade names Acrylite, Altuglas, Crylux, Cyrolite, Lucite, Optix, Oroglas, Plexiglas, Perspex and Sumipex. In the early sixties it became a family business when his 5 brothers joined the company. In 1962 Luigi Massoni was attracted to lead the design team. 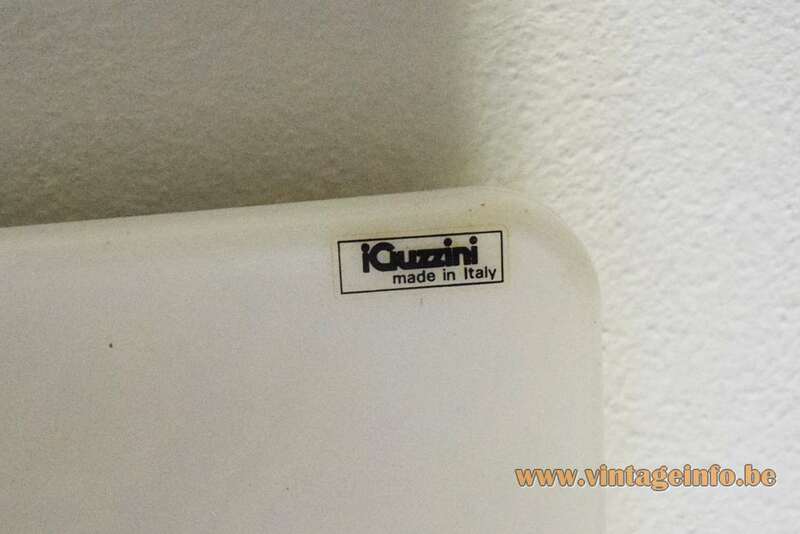 He worked for Fratelli Guzzini and Harvey Guzzini until 1976. Luigi Massoni designed many iconic lamps in that period. They are on display here on Vintageinfo. 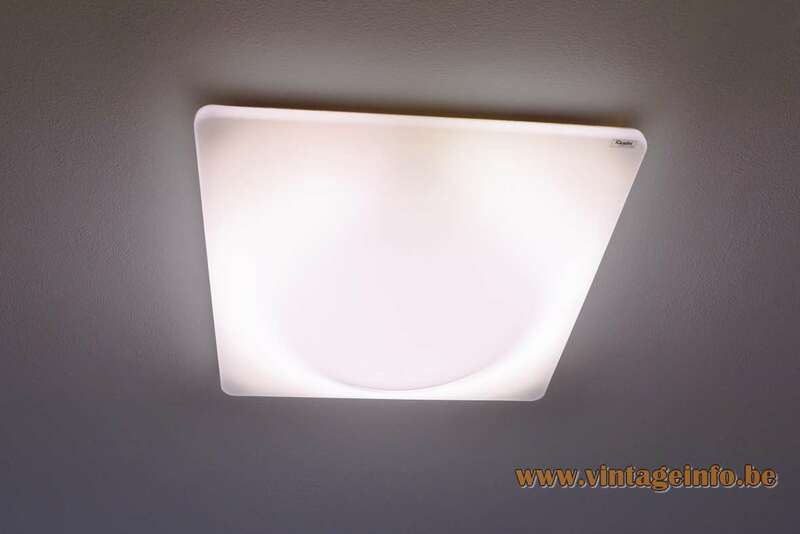 Ceiling lamp with emergency light and inductive wiring.